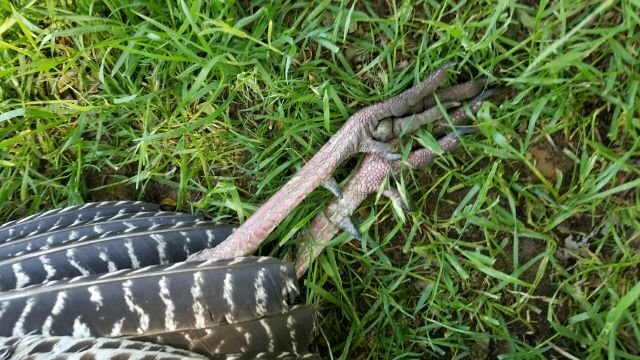 Buddy of mine and I were headed down to try and kill him a jake for his first bird in 9 years. Long story short the Jake's weren't gobbling so we went off to a pond to crappie fish. We're headed down the gas well road and I looked right to see a two year old strutting in the pasture. Drove past him and planned to reap him with my DIY strutter. 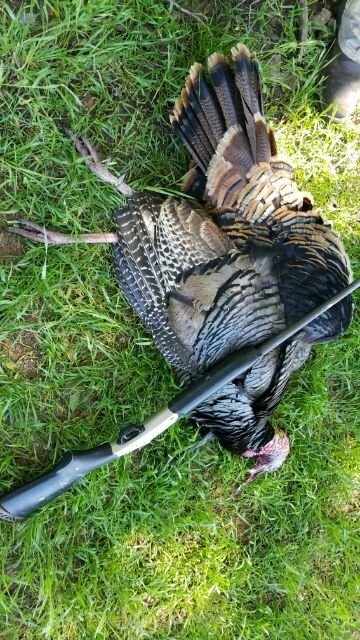 Got up to him using some sand plum thickets and poked around the thicket with the strutter. He more or less ignored us and let my buddy crawl to within 40 yards of him. The 410 spoke and the bird folded on the spot. 38 steps with a H&R 410 fixed full and APEX 9.5's.